Pesticide applications to crops result in varying levels of residues remaining in, or on, our food. 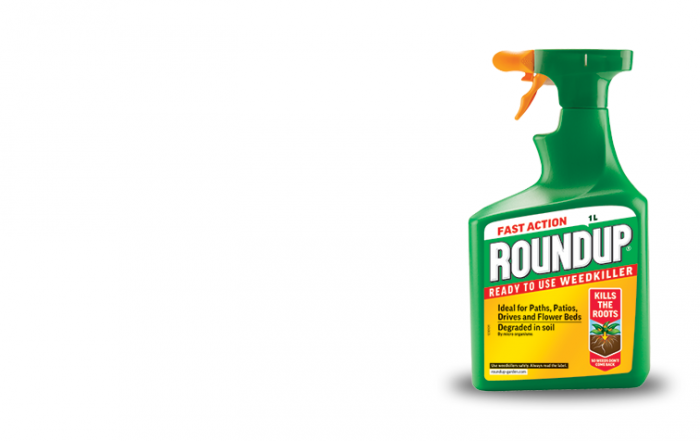 The application of pesticides (insecticides, herbicides, fungicides etc.) 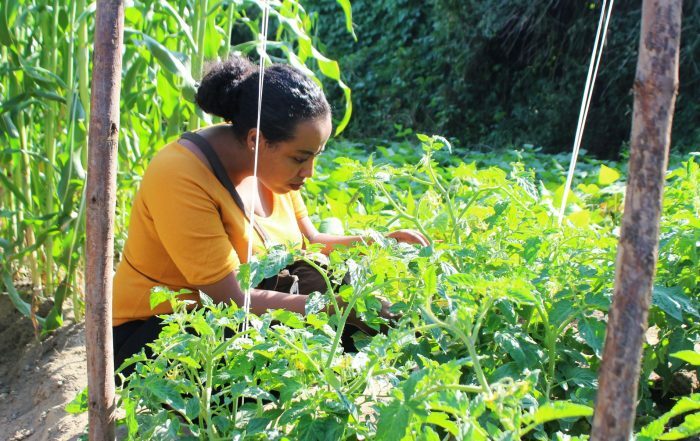 does not only take place while the crop is growing, but can also be applied as a seed treatment, or post-harvest to assist with transportation, storage or the cosmetic look of a particular item. 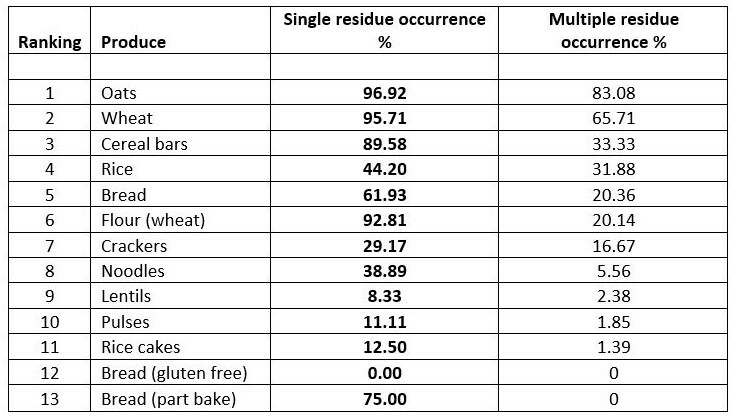 The residues detected on a particular food item will depend on which pesticides have been used and how persistent they are (how long they take to decompose). Food items may contain the residues of just one pesticide, while in others the residues of multiple pesticides will be detectable. Due to the nature of many of the new systemic type of pesticides, residues are contained within the entire piece of produce rather than just on the surface. 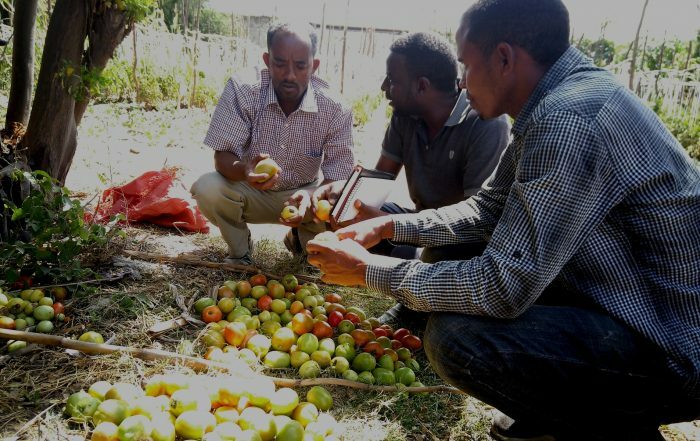 As a result, peeling or washing fruit and vegetables before eating is often not enough to prevent exposure to pesticides. How do pesticides affect our health? Find out here. 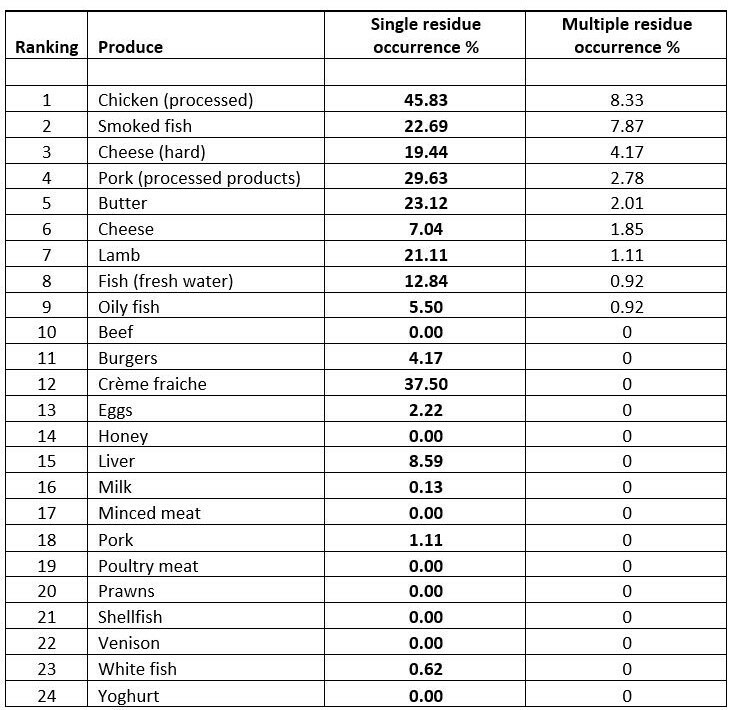 The tables presented below represent the results of residue testing carried out by the Expert Committee on Pesticide Residues in Food (PRiF) from 2011-2015. 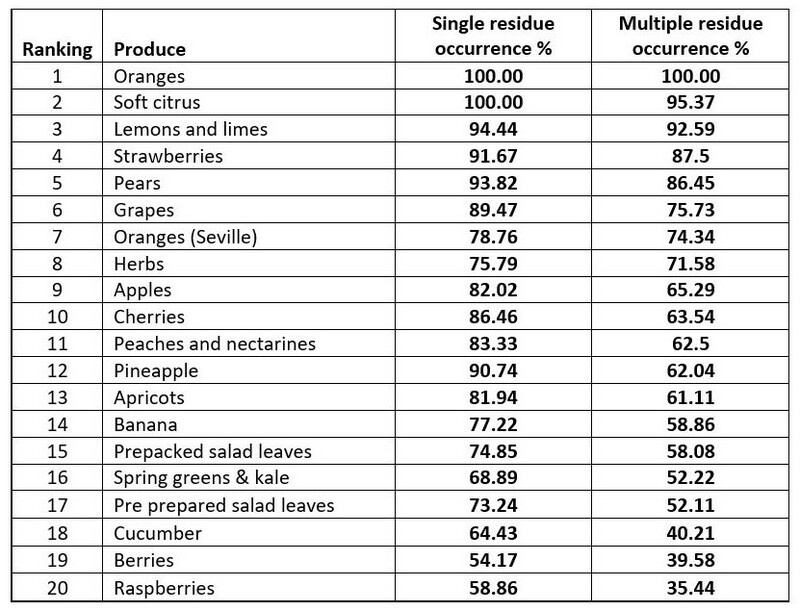 Six tables list the best and worst fruit and vegetables for pesticides residues, as well as residues in starchy food and grains (including bread), products of animal origin (including milk and cheese), and other groceries such as raisins, tea and olive oil. 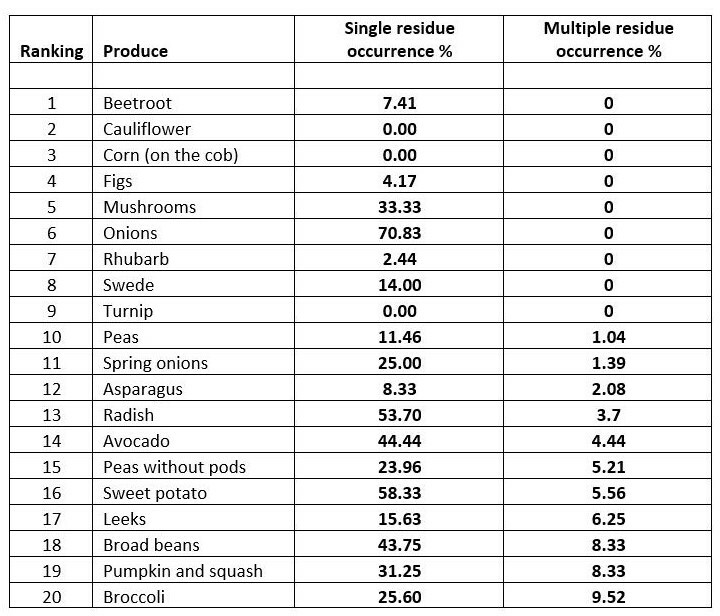 In addition, there is a table ranking all of these products from highest residue occurrence to the lowest – this list includes 134 items. 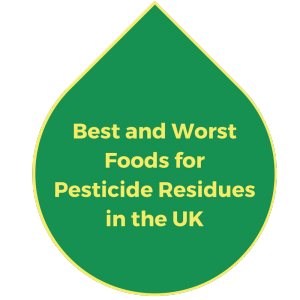 The findings are reported exactly as the Expert Committee on Pesticide Residues in Food (PRiF) presents them, with the exception that we have amalgamated the results across five years. The figures are taken from the information presented in the PRiF annual reports for those years. For more detail on the work of PRiF and to view the reports in full please click here. Download these lists and others here.